Do you think an umbrella is the best way to stay dry when it rains? If so, why? If not, what do you prefer to use? 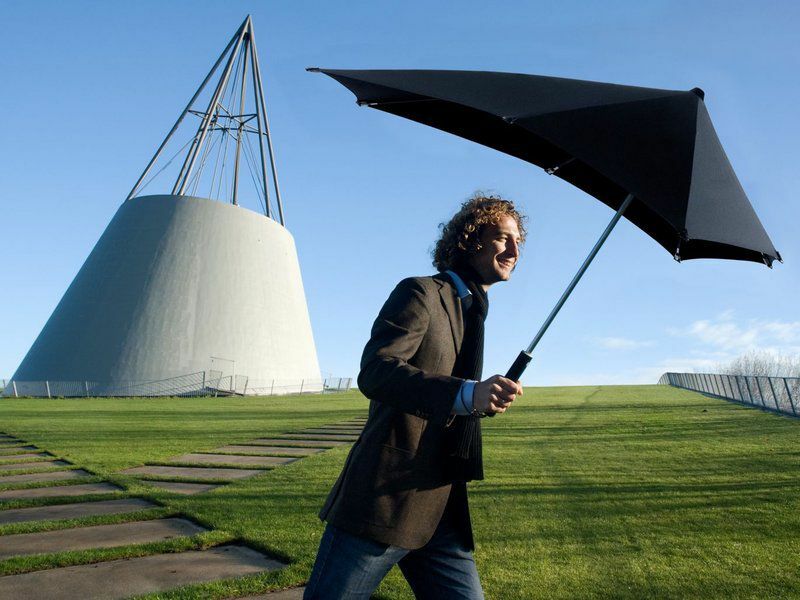 What do you think are the biggest advantages and disadvantages of using an umbrella? What does the phrase "holy grail of amateur inventors" mean? Why do you think that term has been applied to umbrellas? In the article, designer Charles Lim said that umbrellas are perfect because of their price and size. He called umbrella users "a satisfied and dry market." Do you agree with his opinions or do you think consumers would jump at the opportunity to use something different, even if it cost more to purchase? Watch this video to see how designers have used an umbrella design to create the SunShade, an outdoor solar floor lamp. Throughout history people have designed objects that have changed and enhanced the quality of people’s lives. These objects help us to both survive and enjoy life. In this activity, students will analyze historic artifacts to help gain an understanding of how the past has impacted their lives. How does design solve everyday problems? In this webinar, curator Ellen Lupton and educator Caroline Payson look at the ideas behind cutting-edge household items, from a glow-in-the dark electrical cord to a camera for the blind. Discover how designers came up with these wild ideas and how you and your class might follow their lead. In this activity, students will design an image that is a “play on words,” using both traditional artistic methods and computer design to perfect the image. In this activity, students will use ratios and proportions to represent quantitative relationships as they investigate the concept of how percentages are used by designers. Students will decorate the same room using three different percentages of colors. Read this Smithsonian article to learn how a group of Chinese entrepreneurs hopes to do away with fabric and repel rain with powerful streams of air.